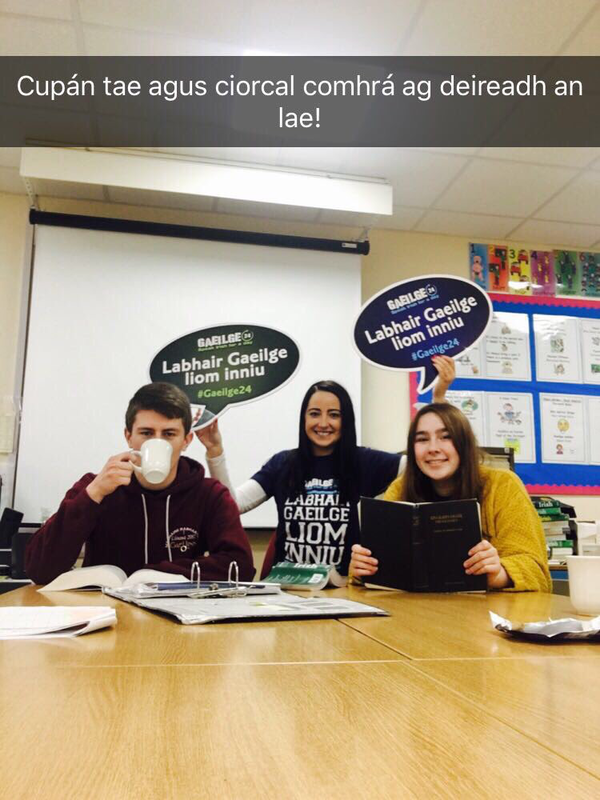 On Tuesday 14th November 145 CPC pupils took part in the 'La Gaeilge' challenge where they undertook to speak as much Irish as they can over a 24 hour period. This event is organised annually by the Irish Language organisation 'Conradh na Gaeilge' and under the guidance of Mrs Campbell has become a very successful and enjoyable day for Irish language enthusiasts in CPC over the last number of years. This year the pupils taking part had an assembly to start the day followed by a music & dance activity in Irish. There was bingo, a tuck shop and 'bricfeasta Gaelach' for the Year 11 Irish class. At lunchtime pupils were able to view an Irish language film and there was also a quiz 'as Gaeilge'. The pupils received a t-shirt, wrist band and book of useful phrases for taking part in the day and seemed to thoroughly enjoy it. Go raibh maith agat to Mrs Campbell for her efforts in making the event such a success and promoting 'an Ghaeilge' in CPC.